Ladybug beetles, also known as Asian Lady Beetles are beneficial in the garden and cultivated fields during the spring and summer season. These little insects will control pests, such as aphids, white mites, flies, and scale insects. Unfortunately, when fall arrives, they become a nuisance by invading homes and businesses in search of a place to hibernate. 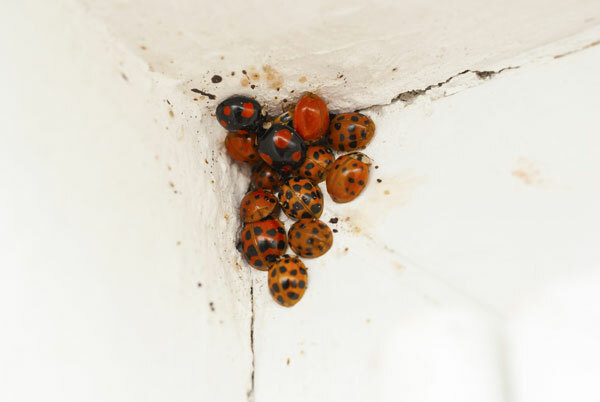 Helpful outdoors or not, people simply don’t like insects in their homes, and typically call for pest control in Fort Worth when Ladybugs invade their home. The ladybugs accumulating on your walls and windows are most likely the Asian Ladybug Beetle, although native Ladybug species are just as likely to gather there. Imported from Asia in 1916, the Asian Ladybug beetles were released to control other species of insects. Today, they are in every part of the United States, and considered a nuisance inside homes. Call to schedule Pest Control in Fort Worth. The first frost sends ladybug beetles in search of a cool place to spend the winter. They congregate on the south-facing exterior walls, and often find their way inside homes through cracks and holes in the siding, and around screens and doors. They are not destructive of any materials inside your home, and simply want to hibernate within your walls, attic, and other out of sight locations. When the weather warms up in the spring, the ladybugs will scamper to find their way outdoors. The best time for professional pest control in Fort Worth is after the insect has emerged from hibernation and has made its way outdoors. Once they are inside a home where the indoor temperature is warmer, the ladybugs metabolism enters their summer mode. They will instinctively move toward light, commonly the windows. With their metabolism raised for summer, and no food source available, they rapidly use up their winter reserves and die, piling up in window sills. This is the reason you will continue to see a few Ladybugs in your home during the winter. Warm days can also result in an increased number of the insect indoors. This is likely a sign they have found entrance into your walls where they can be present in large numbers. 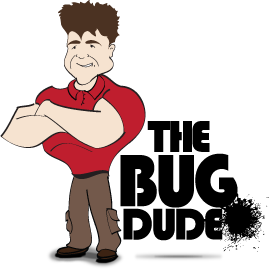 Contact The Bug Dude to schedule pest control in Fort Worth. Control Ladybug Beetle invasions by sealing cracks and crevices around windows, eaves, doors, and siding. In addition, seal gaps surrounding pipes, conduits, and wires entering your home. Sealing a multistoried structure can be difficult, and is why many homeowners prefer professional pest control in Fort Worth. Although it is uncommon, Asian Ladybug Beetles can cause allergic reactions in some people. Symptoms include itchy eyes, sneezing, congestion, and a runny nose. Sinus irritations and mild skin irritations have been associated after encounters with the Asian ladybug beetle. Medical studies indicate the severity of sinus issues subside once the beetles are removed from the home with pest control in Fort Worth. For those adversely affected by the insect, it is essential to provide proper sealing of the home, frequent vacuuming, and routine pest control in Fort Worth. Asian Ladybug Beetles do not carry disease, and are not toxic or venomous. You may feel a slight prick on your skin when handling the beetles. This is due to small spurs on the beetle’s hind legs. Sealing gaps, cracks and holes will assist in preventing the entry of Ladybugs, as well as other crawling and flying insects, and mice. It also has the added benefit of potentially reducing the energy bill! Start with the exterior walls, by sealing cracks and gaps in siding, especially around windows and doors if unsealed. Use a silicone or polyurethane-based caulking product to allow for expansion and contraction of the vinyl window. Seal large gaps around cables, wires, pipe, and ducts with steel wool, and fill the remaining gap with expanding foam. You can also use an expanding foam product alone for small gaps and cracks. Attach screen wire to the inside of foundation and attic vents, and seal ventilation pipes on the roof. However, for hot exhaust pipes such as for a gas furnace or gas water heater, a heat tolerant type of metal mesh is required. Trim shrubs and tree limbs back from the house. Insects and animals will use them to gain access to your home. Feed pets indoors, and don’t leave food out overnight. Don’t stack firewood, or pile debris near your home. A clean house deters pests. Wipe the dishes clean, and store in a closed dishwasher if you are unable to wash them before going to bed. Ensure garbage cans are tightly sealed, and empty often. As water attracts pests, it pays to have leaks repaired. Repair or replace damaged screens, and ensure the frames fit snugly without gaps. To prevent Ladybugs and other pests in your home, contact The Bug Dude for professional pest control in Fort Worth. Our pest control professionals serve Fort Worth, Dallas and the surrounding areas with quality pest control services. In addition, if you also have a problem with opossums, armadillos or other wildlife, our professionals offer humane wild animal control services.